Summer—the season when everything smells like hot garbage—is finally in full-swing in New York City. With the MTA seemingly intent on preventing us from going anywhere—never mind outside the city—folks from Brooklyn and beyond trek to Prospect Park to cool down and escape the pungent odors in the air. Unfortunately, our idyllic summer days at the park might already be over as an “unusually aggressive” squirrel has infiltrated and attacked five park goers. 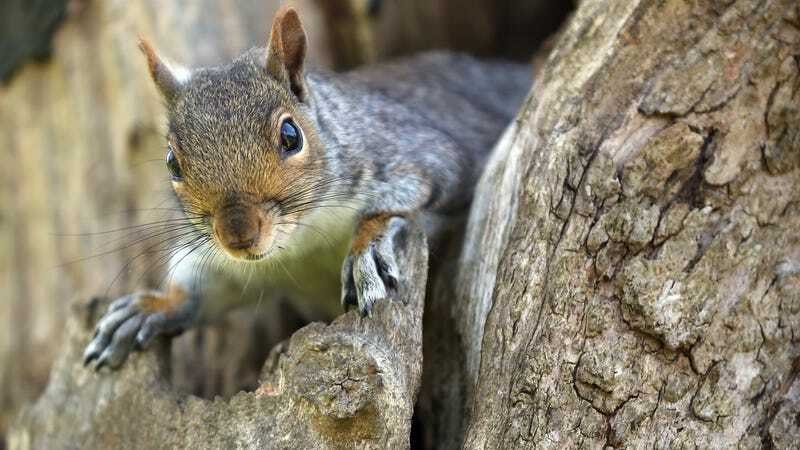 In a press release shared with Gizmodo, the New York City Department of Health and Mental Hygiene (DOHMH)—which is overseeing SquirrelGate —said the attacks took place between July 18th and July 20th near the Parkside and Ocean Avenue entrance to the park. The DOHMH has not been able to verify whether or not the squirrel has rabies because frankly, it can’t find the damn thing. A rep from the DOHMH told Gizmodo that they “don’t have any updates today,” meaning the suspect is either still at large or dead. According to wildlife biologist Imogene Cancellare, the squirrel could have “furious rabies,” a variant of the disease in which an animal exhibits aggression and hyperactivity. Animals with this form of rabies usually die within a few days. “Rabies causes death by cardiac arrest and issues with respiratory regulation, or when the throat closes up as other muscles are slowly paralyzed,” Cancellare told Gizmodo. “So an animal’s death is a function of incubation time and severity of onset of symptoms.” When the virus settles in an virus animal’s brain and causes disfunction that leads to aggression and other strange behavior. Perhaps the most concerning factor is that the hostile squirrel could “transmit the virus to many other mammals” before it dies. Even if we assume the squirrel is dead, there’s still a possibility it infected other creatures in the park before going out in a blaze of glory. “Any person or pet bitten by wildlife anywhere should contact their health care provider or veterinarian to determine if medical care is needed,” the DOHM said in a statement. In general, squirrels very rarely carry rabies. If this squirrel has—or had—the disease, it would be something of a freaky, furry phenomenon. Nevertheless, the squirrel has shaken a community to its core. “I’m afraid of every sound in New York,” Brooklyn resident Addie Cahen told Gizmodo. Others expressed sympathy for the squirrel and sent their best wishes to the victims. If you have information about the squirrel terrorizing Prospect Park, please send tips and photos to rae@gizmodo.com.